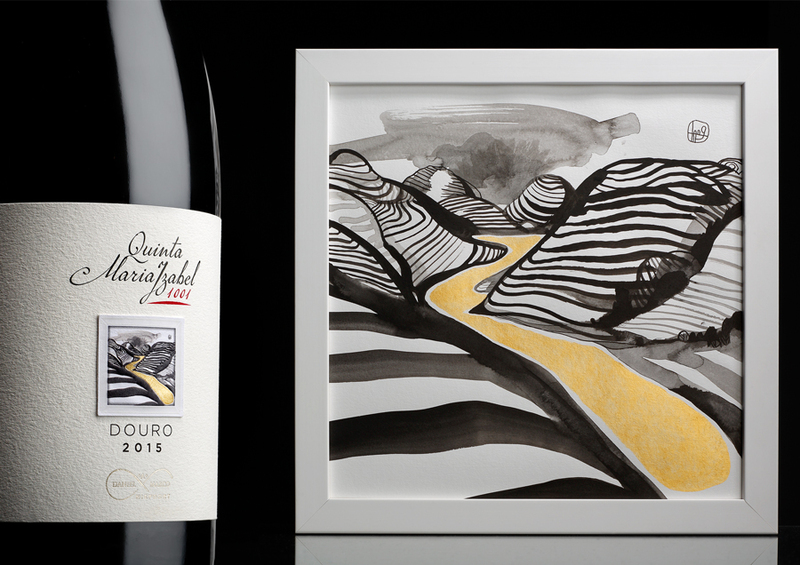 The view over the Douro Valley is one of the most breathless landscapes one can experience. 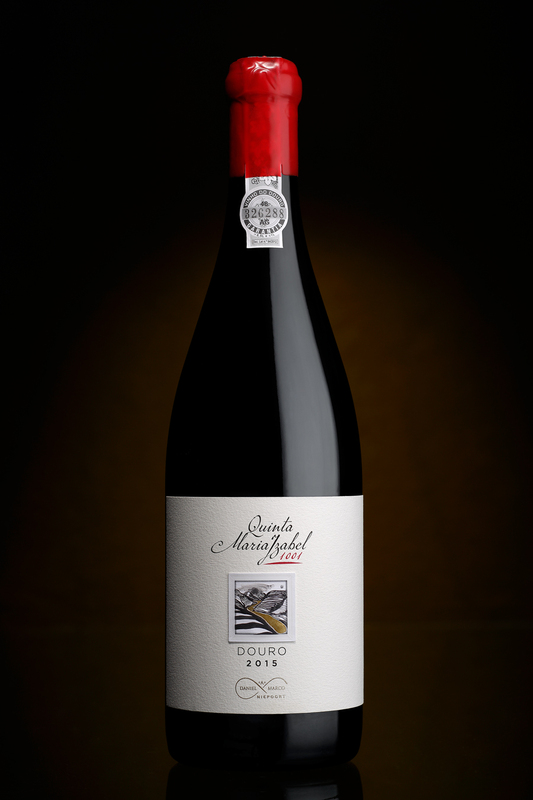 Quinta Maria Izabel, an emblematic estate located in the Douro Demarcated Region, the first in the world, is no exception. 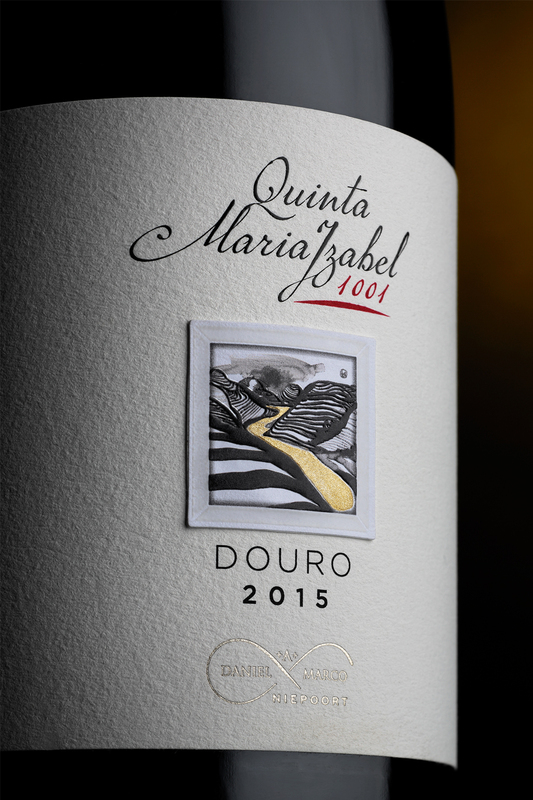 Now, you can assess it, since their scenery, once portrayed in a painting the brand affectionately keeps in their estate, was transposed to the labeling of Quinta Maria Izabel 1001 wine, by the hands of Omdesign. As the painting was offered by a close friend, this project was a reward of this pleasant gesture. 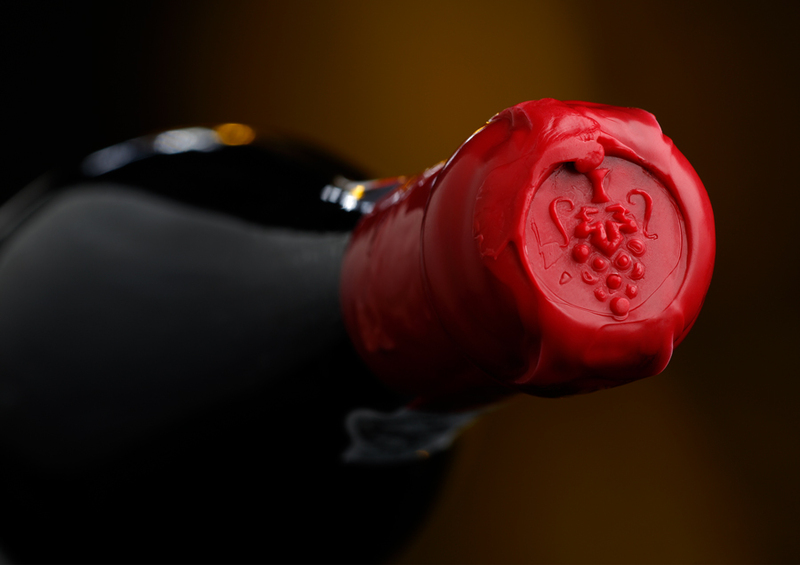 Sharing a bottle of wine is also a synonym for friendship. Quinta Maria Izabel 1001 wine has this particular name because there were made precisely 1001 bottles of Quinta Maria Izabel Grande Reserva wine. Nothing more, nothing less. 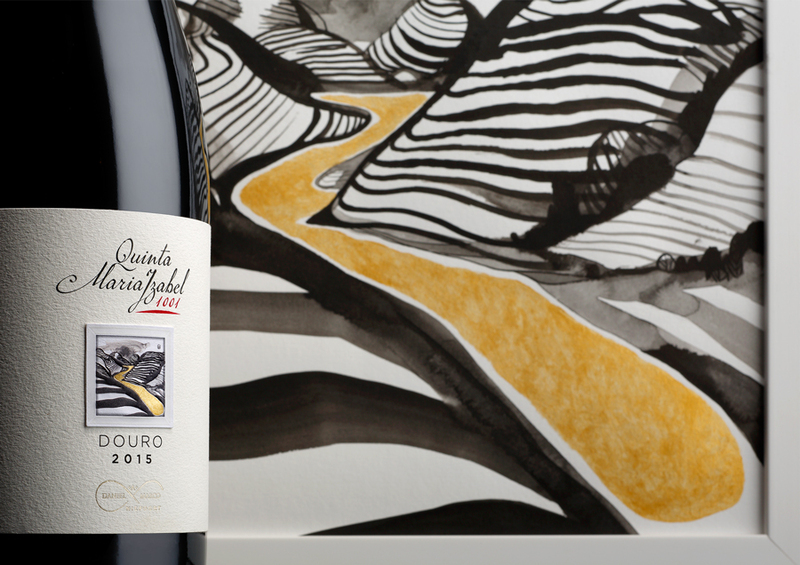 Showing the shapes of the Douro Valley throughout contrast, textures and reliefs, both the painting and the label enhance the important meaning of the Douro River thru the colour associated with passion, wisdom, magic and grandeur. 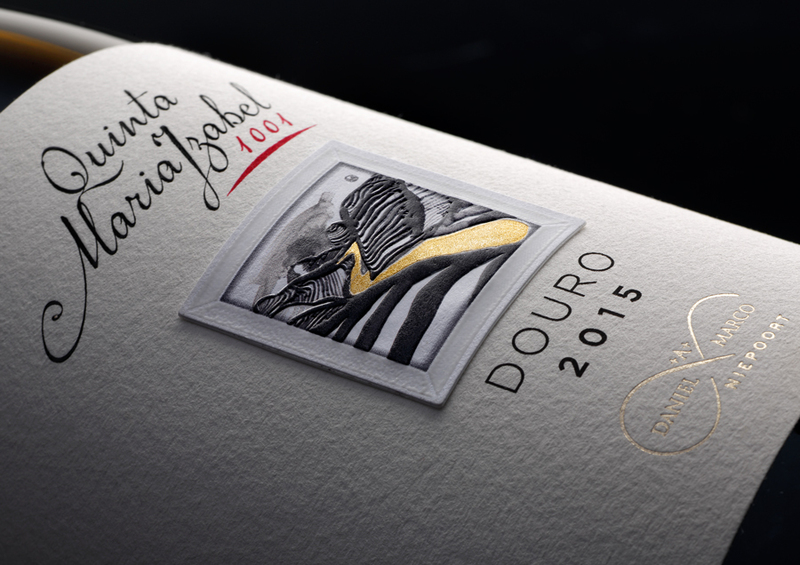 The special painting that Quinta Maria Izabel keeps in their estate was perfectly transposed to the labeling, with all of its special details, as well as the magnificent and premium aspect that it conveys. In order to reproduce it without loosing its texture, squareness, brightness and deepness, Omdesign chose a background fine paper with 3 different layers, to accurately mirror the painting and its components, namely the shapes and frame. 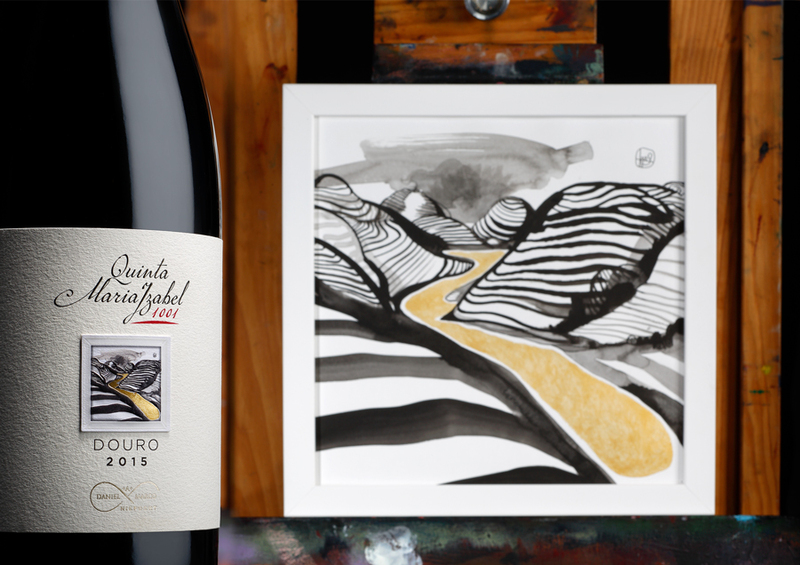 This packaging evokes the magnificence of Douro and, particularly, the outstanding scenery filled with the vineyards and the river that can be seen at Quinta Maria Izabel, here shown in a perfectly reproduction of the painting on a bottle of wine.